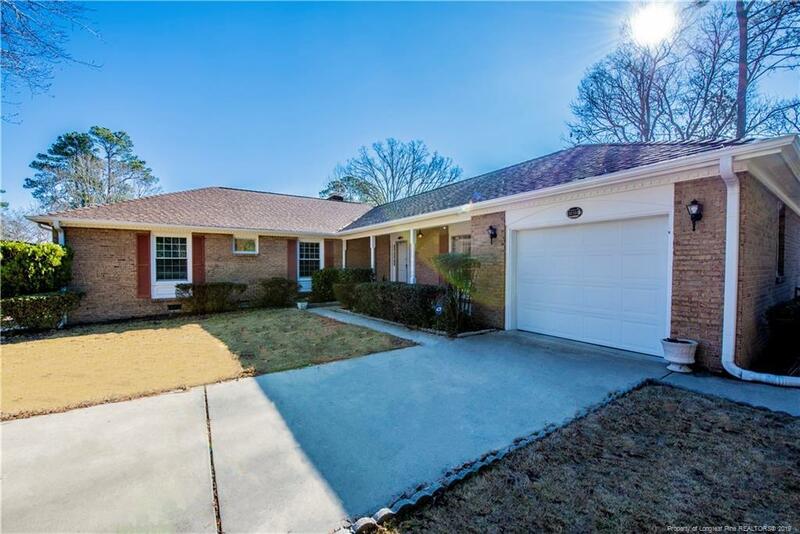 Impeccably well maintained home only minutes from Ft Bragg gate.This beautiful 4 bedroom 2 bath brick home has a large living room and dining room with french doors. Den has a fireplace with built in bookcase and door leading to a huge fenced back yard with two levels of patios. New carpet, maple flooring. Spacious open kitchen with dining nook. Bath & walk in closet in master. Plenty of closets. Newer furnace, architectural shingle roof, cement driveway, plus gutters on all sides. Single car garage with a storage room. Move in ready!